deal with. Tax season amplifies this stress when there is a demand for certain documents. I always find the New Year is a great time to reassess your system for sorting paper. 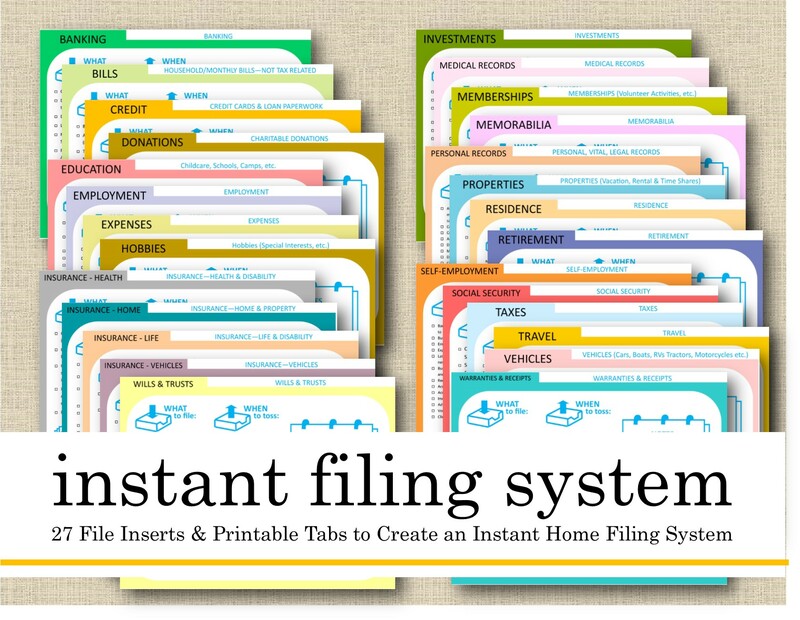 We make it easy with our pre-made filing system available at https://www.etsy.com/listing/261748440/printable-instant-filing-system-27-file. This link to our quick digital download gives you the tabs and instructions you need to apply to any standard hanging file system. Why waste the time thinking of how to get organized? Just print these and start filing. 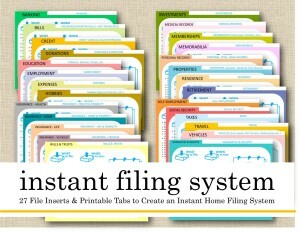 Our instant file system makes filing simple and effective. Make 2019 the year you conquer your paper!